NEW YORK - Democratic rising star Alexandria Ocasio-Cortez made history Tuesday as the youngest woman elected to Congress, riding a wave of minority women reaching office and cementing her place as a prominent voice on the left of U.S. politics. 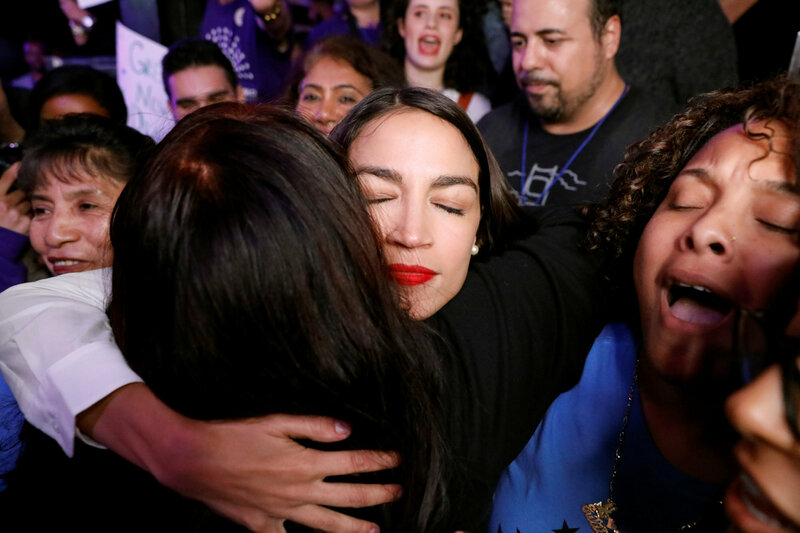 “We have made history tonight,” the grinning 29-year-old told cheering supporters at her victory party in Queens, an astonishing victory for a woman who was working in a Manhattan restaurant only a year ago. She has championed her working-class and Puerto Rican roots as the daughter of a cleaner and a father who died in his 40s, embodying a different generation of politician and shunning corporate donors. With telegenic looks, charisma and youthful idealism, she is at once a media darling and a lightning rod for criticism. 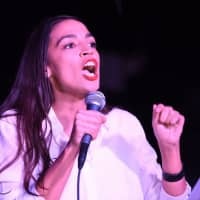 On Tuesday, she signaled a deep ambition running beyond the confines of her constituency and thanked organizers for building a “larger movement for social, economic and racial justice in the United States of America,” in a stirring speech that ended with confetti falling from the ceiling. “If we are going to turn this ship around as a country it is not good enough to throw a rock at our neighbor’s yard, we’ve got to clean up our own house,” she said. In a further sign that her dreams run big she spoke of the galvanizing power that her campaign had on other insurgent races around the country, and vowed that hers would be the generation to flip the Republican state of Texas blue. 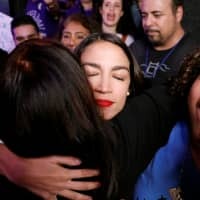 From the start, Ocasio-Cortez traded heavily on her non-privileged background in her quest to defeat a 10-term, Democratic Party grandee in her first political race in a New York primary on June 26. Overnight, she went from total unknown to the toast of coastal America, profiled in Vogue, a guest on chat shows and jetting around the country lending her rock-star status to other insurgent candidates. She is also the first person of color to represent the safe Democratic seat in diverse Queens and the Bronx, which is largely immigrant. When she beat incumbent Joe Crowley, she was moonlighting as a bartender. “It’s really one of the most remarkable stories I’ve ever heard,” said talk show host Jimmy Kimmel in a breathless introduction. Ocasio-Cortez once worked for the late senator Ted Kennedy while studying economics and international relations at Boston University. She has worked with female entrepreneurs in Africa and in education. But if there’s no doubting her talent, crowd-appeal, idealism and passion for grassroots campaigning, in America her politics are pretty radical. She is a Democratic Socialist in the vein of failed 2016 presidential hopeful Bernie Sanders, on whose campaign she worked. 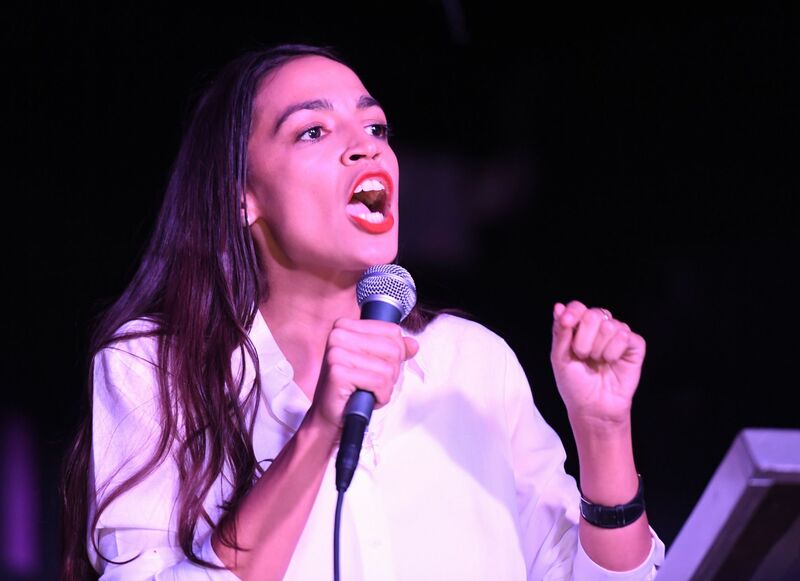 Ocasio-Cortez has compared the fight against climate change to the fight against Nazi Germany in World War II, calling it a “major existential threat,” and has likened electing Democrats to ending slavery. Only time will tell whether the progressive Democratic wing that she embodies represents the future or a Tea Party-style spinoff, as mainstream liberals scramble for ways to contain Trump. Pragmatists say she will have to compromise her ideals. Debt-free college and universal health care sound appealing, but are expensive propositions. “She is a really good candidate with good political instincts,” Jeanne Zaino, a political scientist at Iona College, has said.